On Saturday, March 2 we are part of the second edition of Global Diversity CFP Day! The first edition was a global success, with 53 events around the world! This event, hosted at Container Solutions in Amsterdam, is aimed to be encouraging and advising newbie speakers to put together your very first talk proposal and share your own individual perspective on any subject of interest to people in tech. • and share their enthusiasm to get you to the stage! • 13:15 More workshop time! • Smile! We are photographing this event. Let us know if you do not wish to have your pictures posted on this site or on social media. Reason for being involved in workshop: As a conference and meetup organizer, I'm always a bit saddened by the fact that most CFP submissions are from a homogenous group. I want to help as much as I can to give more people the encouragement and confidence to share their ideas and creations. About Paul: Paul is a Senior Software Engineer at Confrere, based in The Netherlands, and organiser of the NLHTML5 meetups. He’s passionate about welcoming everyone into tech and making the web work for everyone. Over 10 years ago, Paul was a .NET developer, but after going to his first front-end developer conference, he fell in love with that community. Ever since then, he's been an active member of the front-end community, volunteering at, speaking at and organizing different conferences. Nowadays, he gives talks about ethics, diversity, and inclusivity, to help make everyone feel as welcome as he was 10 years ago. Reason for being involved in workshop: Increase presentation of underrepresented groups. Encourage people to share their story with the world. Reason for being involved in workshop: A year ago, I was too scared to submit a proposal to any conferences, and a workshop like this would have helped me get over that much sooner. By now I've spoken at a few conferences, and I'd like to help others get started! About Sanne: Sanne is a former teacher turned software engineer. Currently, she works at TELE2 in Amsterdam, building applications that help her colleagues keep an eye on anything network-related. When she's not coding, you'll probably find her either 25 browser tabs deep into a new CS topic, or behind her sewing machine. 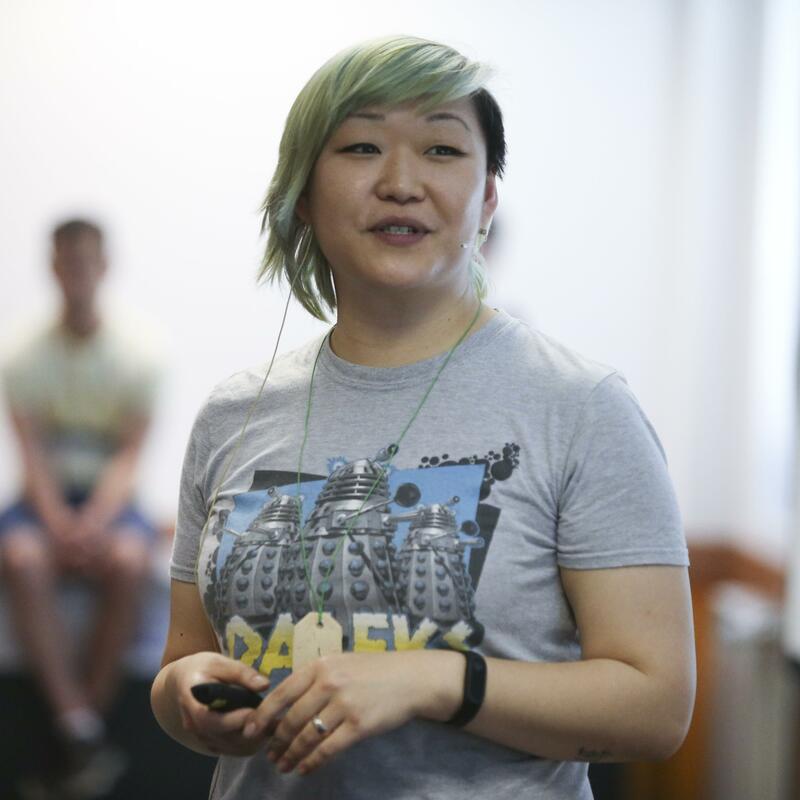 Reason for being involved in workshop: I love GDCFP Day because as an organizer and a member of the LGBT community I want to encourage more diverse folks to speak and attend tech events. Reason for being involved in workshop: In my experience as a developer, everyone has a story to tell and something interesting to teach others, so I dare you: step up, speak up and be a role model for the next generation of devs! About Juliette: Juliette Reinders Folmer is an opinionated, passionate busy-body with a prolific portfolio of contributions to various high profile open source projects over the years. She is co-author of PHPCompatibility, initiator of PHPModernizer and created the PHP Cheatsheets. Juliette regularly speaks at conferences and is always happy to discuss how we can all contribute to changing both the dev-culture as well as our code, to be _better_. Juliette is self-employed and based in the Netherlands. How close is parking to the venue? Are there costs associated with parking? What is the process for entering? Are there steps going into the building or space? Are there ramps or elevators? Heavy door at the entrance. People with mobility devices might need some help. Are elevator buttons of an appropriate height for wheelchair users to reach? Is there affordable childcare at or near the venue? How many bathrooms (both single and multiple occupancy) are available? How many wheelchair accessible stalls are there? How many gender-neutral bathrooms are available?